Army officer working in human resources. I have always been interested in watches since I was a young boy. I absolutely love them. I think that for me it's the typical gadget thing that some folks are attracted to. I particularly like to collect vintage Rolex watches, and enjoy the different look each provides. They are all very unique and are much different than their modern day counterparts. Rolex. I believe the brand stands for excellence and perfection it's a historic watch company and has a great history. Especially as a military serviceman, rolex has a connection to military service. I also have an Omega Speedmaster Professional [below] and think that brand is also super fun to wear. Rolex 5512 [pictured at top] and my Rolex 1675 [pictured at bottom]. I treasure both, but the 5512 is my favorite by far. 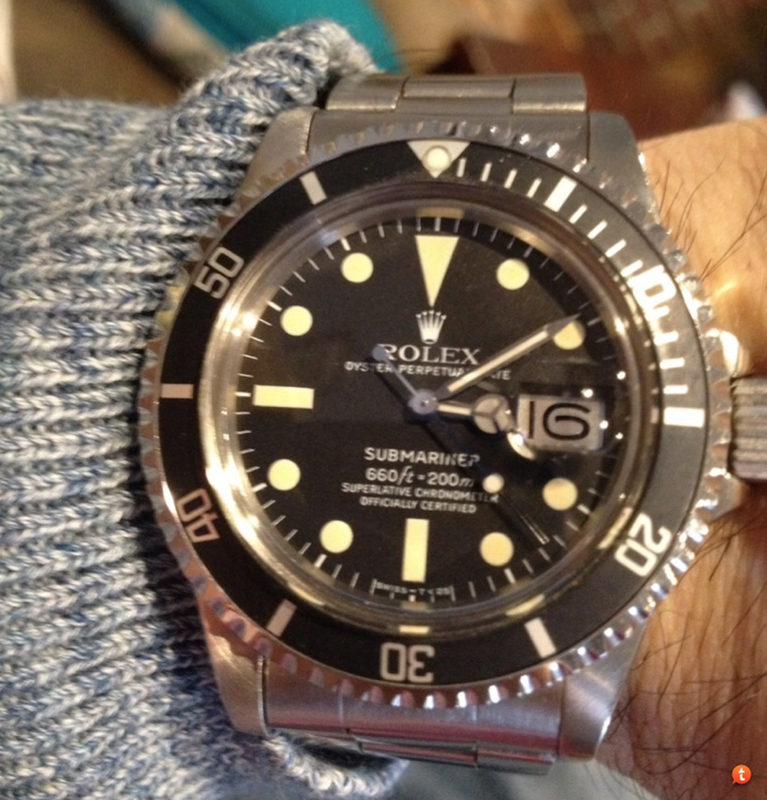 I also love my Rolex 1680 white, but wear it more as a winter watch. Rolex 14060M [below]. It was my first Rolex, and I bought in 2004 with my father . It's a great memory and special watch I won't sell since I waited a long time for this purchase and my father bought another rolex at the same time. One day - hopefully way in the future- I will give to my son. Buy the seller! Do research and ask questions. The forums are a great way to learn and link up with folks who know what they are talking about.